Description: The Cobrancosa is the most coveted of all Portuguese varietals. Unique to Portugal, this is a very rich, floral and complex single varietal extra virgin olive oil! 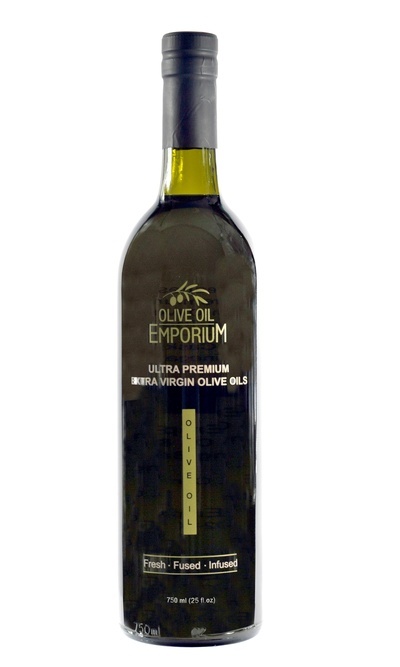 It is an early harvest olive oil, and one of the most popular extra virgin olive oils in our shop! Tasting Profile / Serving Suggestions: Unique, rich, floral and complex! This harvest displays dominant grassy notes, is herbaceous and fragrant, with a strong pepper finish. On the palate it is quite complex, creamy, and is layered with some desirable bitterness. A versatile olive oil that is always one of our most popular Northern Hemisphere extra virgin olive oils! A full-flavoured olive oi that is great over grilled meats, pasta, over salads, and as a full-flavoured dipping oil with your favourite bread.